Actress Jane Fonda responded to the awkward situation while she was a guest Wednesday on NBC's "Megyn Kelly Today," saying on Canadian TV that it was weird to be asked about her plastic surgery. Fonda said it did not seem like a good time or place for the question, and it took her aback when Kelly asked it. Sangita Patel of "Entertainment Tonight Canada" asked Fonda about the exchange. "I was a little bit shocked by her question," Sangita said. "Were you shocked by it?" "A little bit," Fonda answered. "Given the fact that we don’t have a lot of time and Bob [Robert Redford] is right here, it’s a weird thing to bring up – whether I’ve had plastic surgery or not." Fonda expressed her sense that Kelly approached the topic in the wrong way, saying she has had plastic surgery and has previously talked about it, but did not think Kelly’s show was the appropriate venue to talk about it. "I have, and I’ve talked about it," Fonda told Sangita. "But it just seemed like the wrong time and place to ask that question." On Wednesday, Kelly prodded Fonda about opening up on the work she had done, which Fonda rejected in favor of talking about her new movie with Redford. "We really want to talk about that now?" Fonda responded to Kelly’s question. "Thanks. Good attitude. Good posture. Take care of myself," Fonda said. "Let me tell you why I love this movie that we did, Our Souls at Night, rather than plastic surgery," Fonda then said in an obvious attempt to shift the conversation. Kelly also drew criticism from actress Debra Messing for her interview Monday, in which Kelly also made awkward comments. 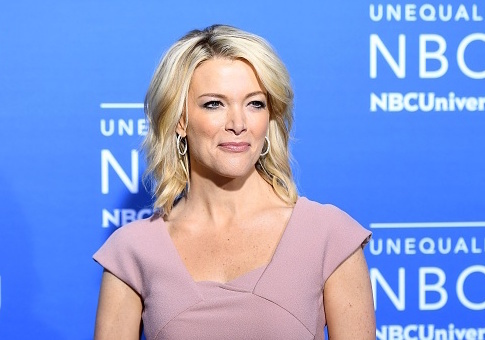 Later, NBC executive grilled Messing for criticizing Kelly on social media, although privately NBC executives have been uncertain about the rollout Kelly’s new show.